Cutified modern drawing of the Seven Luckies. Click image to get started. Japan’s Seven Lucky Gods (Shichifukujin 七福神) are an eclectic group of deities from Japan, India, and China. Only one is native to Japan (Ebisu). Three are deva from India’s Hindu pantheon (Benzaiten, Bishamonten, Daikokuten) and three are gods from China’s Taoist-Buddhist traditions (Hotei, Jurōjin, Fukurokuju). In my mind, it is more fruitful to explore the seven within a Deva-Buddha-Kami (Hindu-Buddhist-Shintō) matrix rather than a standard binary Buddha-Kami model. For that reason, special emphasis is given to the three Hindu deva. Although the group’s Japanese origin can be traced back to the 15th century, the set of seven did not become stadardized until the late 17th century. By the 19th century, most major cities had developed special pilgrimage circuits for the seven. These pilgrimages remain well trodden in contemporary times, but many people now use cars, buses, and trains to move between the sites. Today images of the seven appear with great frequency in Japanese art and media, but unlike olden times, the seven are now often portrayed as cute, lovable and childlike. The “cutification” of religious icons in modern Japan is widespread and part of a much larger social trend toward cuteness in billboard advertising, corporate branding, sports mascots, street fashion, product design, and a host of other areas. This integrated primer explores the seven’s historical development in Japanese art and lore. Enjoy. Popcorn not included. INTRO Page. Explores their development in art and lore. 50 photos. 16 pages. Ebisu. Only Japanese god in the group. 16 photos. 5 pages. Bishamonten. From the Hindu pantheon. 80 photos. 24 pages. 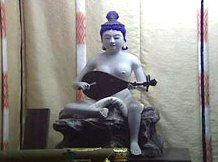 Benzaiten. From the Hindu pantheon. Only female in group. 260 photos. 60 pages. Daikokuten. From the Hindu pantheon. 36 photos. 12 pages. Fukurokuju. From the Chinese pantheon. 12 photos. 5 pages. Hotei. From the Chinese pantheon. 19 photos. 5 pages. Jurōjin. From the Chinese pantheon. 6 photos. 5 pages. Various side pages, including Benzaiten’s Main Sanctuaries (52 photos, 16 pages), and Kami of Rice, Food, Agriculture and Wealth (4 photos, 4 pages). 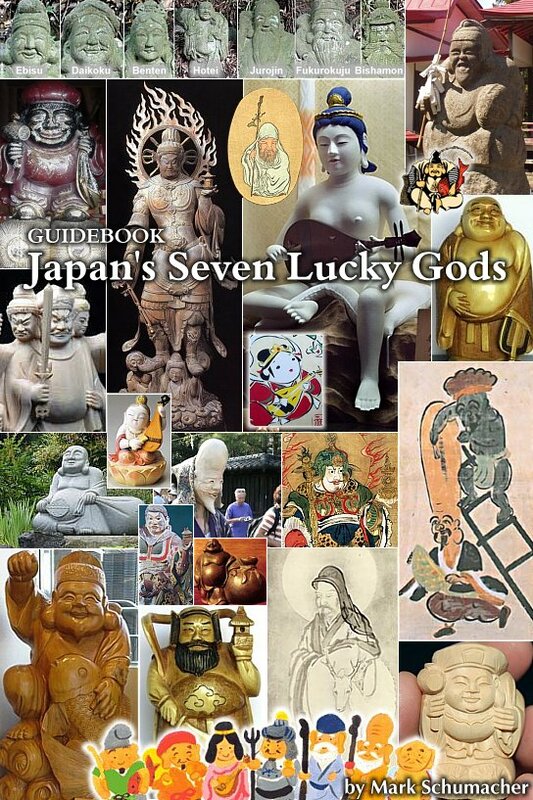 Guidebook to Japan’s Seven Lucky Gods. Click image to get started. 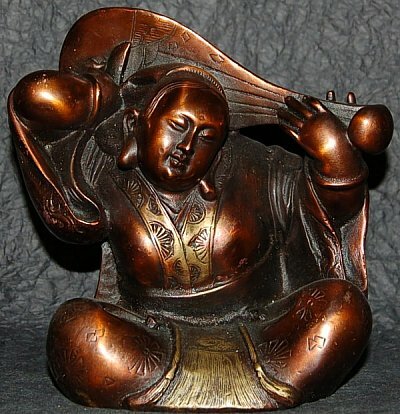 Statues of these deities can be purchased at our sister site, Buddhist-Artwork.com. adventure by clicking images for enlarged views & commentary. The only thing missing is popcorn. Benzaiten Guidebook. 68 pages, 250 images. 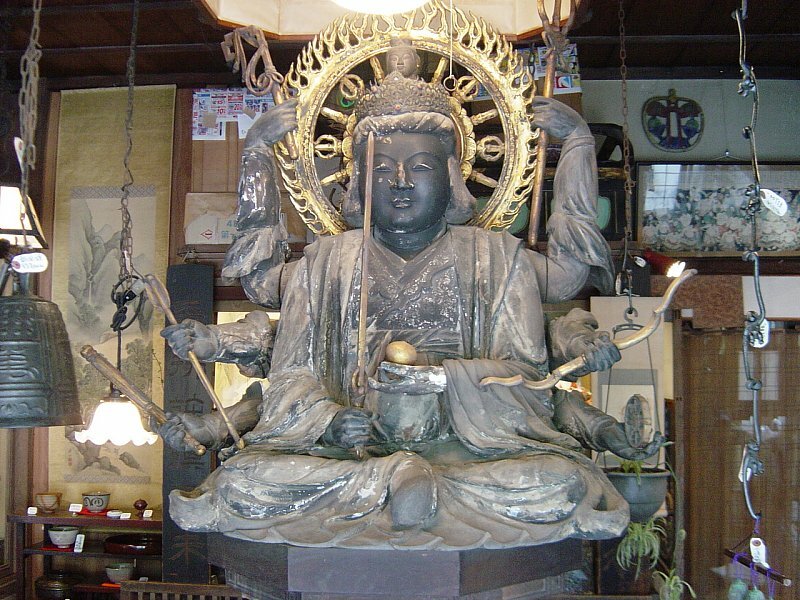 Benzaiten is Japan’s preeminent water goddess. 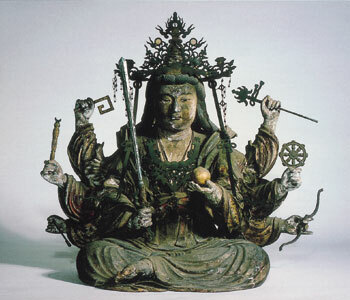 The patroness of “all things that flow” — music, art, literature, poetry, discourse, performing arts — she is one of Japan’s most complex deities, having long ago been conflated with other divinities from the Hindu, Buddhist, and Japanese pantheons. Her worship in Japan is widespread. Her many forms range from a two-armed beauty playing music to an eight-armed martial deity holding weapons to a monstrous three-headed snake to a divine representation of Amaterasu (the supreme Shintō sun goddess). This lavishly illustrated and meticulously referenced guidebook offers a wealth of visual and textual data. 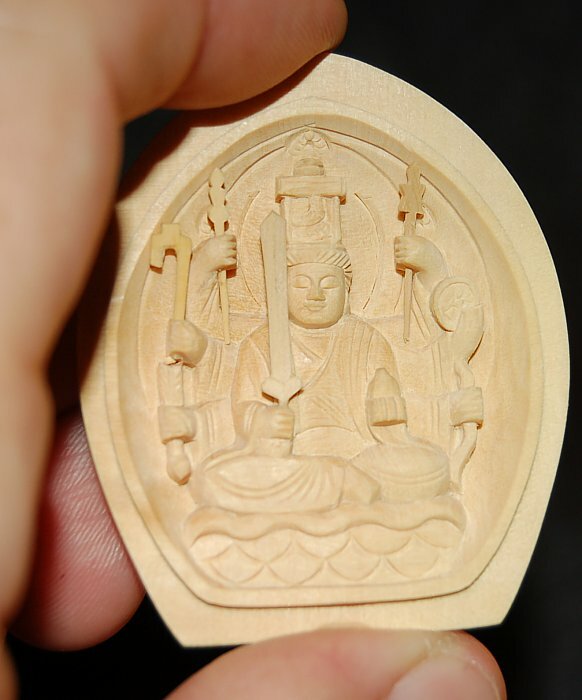 presents numerous case studies of Benzaiten’s main sanctuaries in modern Japan. Click below image to begin the adventure. Origin = India. A river goddess in Hindu mythology, her Sanskrit name “Sarasvatī” means “flowing water” and thus she represents everything that flows (e.g., music, words, speech, eloquence). 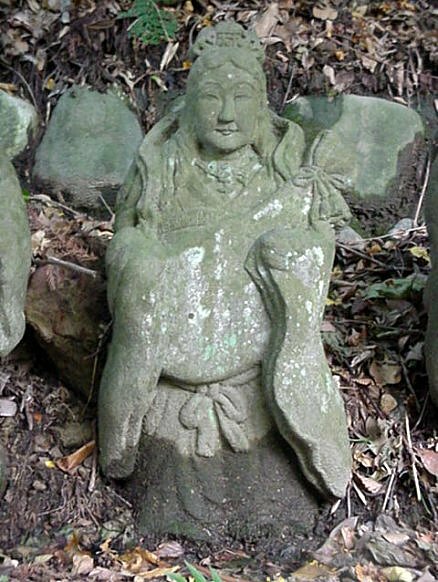 Later adopted into the Buddhist and then Shinto pantheons of Japan, where she is the Goddess of Music, Poetry, Learning, and Art. She is also a Protector of the Nation and a Patron of Children. 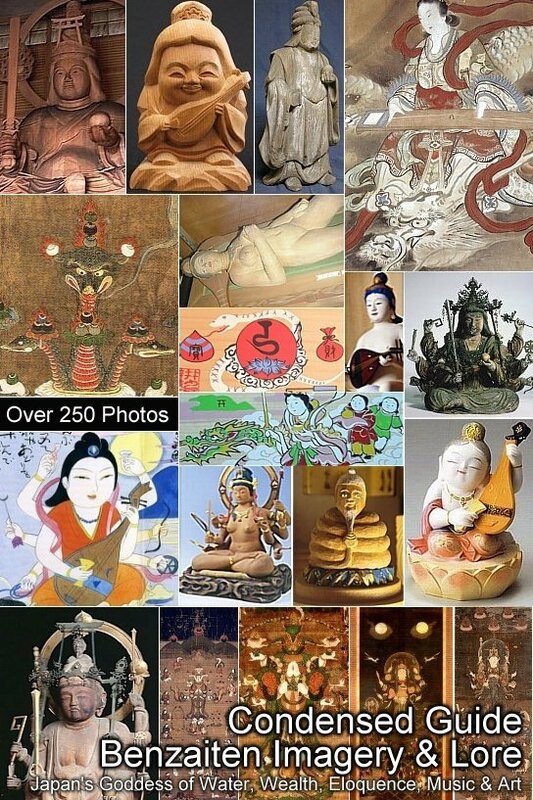 For many more details on Benzaiten, see the A-to-Z Photo Dictionary.